By 1560, Ottoman Turks under Suleyman the Magnificent, conquered considerable parts of Georgia and firmly established themselves in Trans-Kuban Adyghea and Kabardia. Meanwhile the Safavid Iran became dominant in Azerbaijan, advancing to the Vainakh lands and sending missionaries further, thus spreading Islam in the area. Beginning with 1556, Russia started military expeditions to the steppes of Northern Caucasia, finally establishing its border along the Terek river by 1598. Russians were building forts, settling the lands of steppe Vainakhs with Cossacks and pushing the Vainakhs southwards across the Terek and into the mountains. The wars between Ottoman Turkey, Iran, Russia and smaller Georgian states of the early 18th century ended up with the Turkish conquest of practically all the Caucasus south of Kuban and Terek by the year 1724. 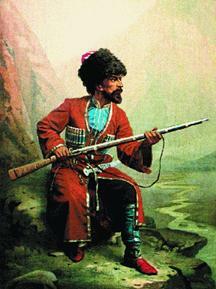 The Vainakhs (by that time also called the Chechens) became Ottoman subjects and remained in that status until 1735. That and the two following decades of the 18th century were marked by the final Islamisation of Chechnya and Daghestan and the end of the remnants of Christianity there. Rapid final Islamisation of the Chechens was greatly boosted by their struggle against Russian expansion in the area. Supported by Iran and Turkey, the Chechens under the leadership of Sheikh Mansur managed to secure their northern border along Terek which the Russian empire was reluctant to cross until the end of the 18th century. However, the very beginning of the 19th century brought dramatic changes of Russia's doctrine in the Caucasus. At the beginning of the year 1800, Russian Imperial court made plans to expand into Transcaucasia and possibly further into Mesopotamia and Syria. After Russia successfully annexed the kingdom of Eastern Georgia in 1801, three other Georgian states in 1804, Ossetia in 1806 and some territories in Northern Iran (modern Azerbaijan) in 1805-1813, came the turn of Chechnya and Daghestan. Without securing these North Caucasian territories within the empire, Russian dominance in Transcaucasia could not be stable. The year of 1807 was the beginning of the new tactic of imperial Russia against Chechnya and Daghestan. Before 1807 Russian troops limited their military action to sporadic raids across Terek aimed at “testing” and “punishing” the enemies of the empire. However, since February 1807, Russian army and the Cossacks started slow and planned conquest of the territory remaining in the hands of the Chechens and their allies (Avars, Lezgins and other tribes of Daghestan). 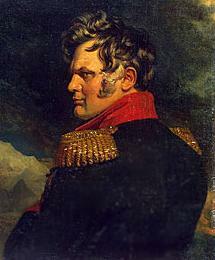 Further escalation of Russian military action started after 1813 when Russia finally concluded Gulistan peace treaty with Iran and General Alexey Yermolov (“the Butcher”) was appointed Commander-in-Chief of all imperial troops in the Caucasus (1816). Yermolov pursued a well-planned, cruel and uncompromising policy of annexation and colonization of the enclaves of the Caucasus still remaining insubordinate to Russia, among them Chechnya. The methods used by Yermolov, were not restricted to military campaigns. They included economic pressure by depriving the Chechens of their traditional sources of income, sealing the borders of Chechnya and Daghestan and denying the residents of those areas any access to foreign countries or Russian-controlled territory. Yermolov also used the tactics that can be described as ethnic cleansing and monitored genocide. Russian troops were taking and executing hostages (the amanats), wiping out the population of the whole villages including women and children and driving “non-cooperative” Chechens out of their land and settling the emptied hinterland by Russian and Cossack population. By 1817 Russians managed to conquer huge territory south of Terek pulling the Chechens across the Sunzha river and building the so-called “Sunzha wall”. After Yermolov was dismissed in 1826, his successors (Count Paskiewicz, Baron Rosen, Count Vorontsov and Prince Baryatinsky) followed both Yermolov’s policy and methods. While trying to consolidate all of their forces, many Chechen clans united into the tarikats. The tarikats were Sufi Islamic orders whose characteristic features were religious devotion, strict hierarchy and discipline. Even today the two tarikats (Najbandiya and Kadiriya) are very strong in Chechnya and among the Chechen diasporas worldwide. The strongest tarikat at the beginning of the war of 19th century was Al Kadiriya later split up into two separate orders, among of Batal-Hajites and Kunta-Hajites. The followers of Kunta-Haji tried to find compromise with Russian empire while Batal-Haji were aiming at fighting Russia to the death until the whole Caucasus would be free of them. It was Batal-Hajites who managed to organize anti-Russian resistance in Chechnya and Daghestan driven by the slogan of Jihad and whose spiritual leaders (Imams) Kazi-Magomed, Hamzatbeg and Shamil became the heads of the Imamat of Chechnya and Daghestan, the centralized state that united the areas of North-east Caucasia that were still independent of Russia. Shamil was the last and the most famous Imam who governed his followers with an iron hand from 1832 to 1959. The followers of Imam tried to transform the Chechen society from relative freedom and religious tolerance to strict discipline, Islamic fundamentalism and asceticism (even folk songs and dances were strictly forbidden under Shamil). The followers of Shamil wiped out the last traces of Christianity in Chechnya including the destruction of books, icons, crosses and even forbidding to talk about the Christian past. Every person daring to disagree with the Imam (or reported to disagree) could be beheaded without any trial (Shamil always appeared in public being accompanied by a hangman who often had to do his job on the spot). 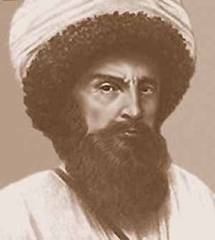 Shamil also managed to organize relatively successful resistance against Russian conquest in spite of his forces being heavily outnumbered by the enemy. Under his leadership the Imamat armies several times invaded Ossetia, Georgia and Azerbaijan trying to get access to the sea as well as to Russia-fighting Adyghea, Turkey and Iran. Shamil’s emissaries appeared in Western Europe trying to solicit international support. In fact, Shamil’s state was also in control of Adyghea a bigger anti-Russian enclave to the west of Ossetia and Kabardia, ruled by Shamil’s Nayib (ca. Vice-Roy), Mohammad Amin. That allowed Shamil to call himself “the Imam of the Caucasus”. That also allows modern Chechens to believe that their recent ancestors managed to unite the Caucasus. Russia’s military and technical supremacy and relative international isolation combined with inside opposition (Kunta-Hajites, Bamatites and other groups) led to the fall of the Imamat by the end of the 50s. 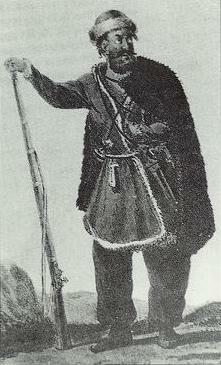 On August 25, 1859, Shamil surrounded inside his last stronghold in Gunib, surrendered to the Russians. Later the same year the Russians captured Mohammad Amin. While being interned in Russia, Shamil and his family were treated respectfully treated as a family of an imprisoned head of a conquered foreign state. He died in 1871 in Kaluga swearing allegiance to the Russian Emperor shortly before his death. Some of Shamil’s followers (Umaduev. Udayev, Alibeg Haji) continued sporadic guerilla struggle for several years after the capture of Shamil until the last of their leaders was slaughtered in 1878. The defeat of the Imamat was accompanied by mass exodus of Chechens from the Russian Empire to Turkey. Together with hundreds of thousands of expatriates forcedly deported from Adyghea, the Chechen expatriates settled in different areas of the Ottoman empire (Bosnia, Bulgaria, Syria, Mesopotamia, western Anatolia, etc.). As of today the descendants of both the Adygh and Chechen expatriates form isolated communities in Turkey, Syria, Iraq, Jordan and Israel (all former parts of the Ottoman empire) where they are collectively called Circassians or the Cherkes people. 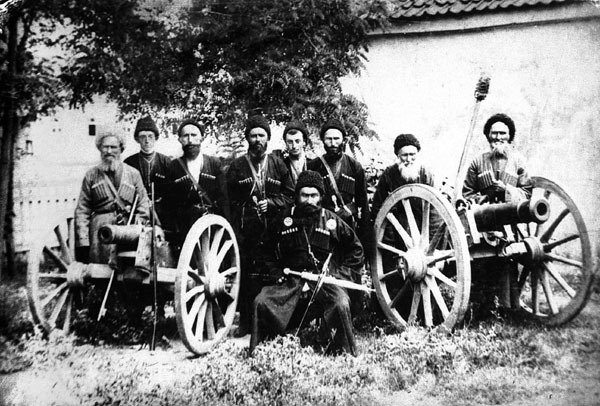 Between 1878 and 1914 the Chechens tried to co-exist with the Russian rule without major open conflicts. Such relapses of guerilla fight like the Abrek movement (e.g. the violent actions of the band of Zelimkhan Ashmazukayev in 1905 - 1913) can hardly be defined as the continuation of the resistance war and were officially defined as banditry by Russian imperial authorities. Some of the posted links will take you to the sites created by the people who pursue political and ideological goals through violence.